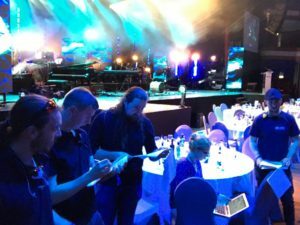 The Irish Post Music Awards Live spectacular took place at the INEC in Killarney last week and The Production People played a key role in the success of TG4’s coverage of the inaugural event. 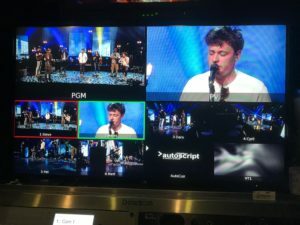 Working with Producer, Mark Dempsey to build a strong experienced team to deliver one of the most ambitious live broadcasts of the year to date with ten of the country’s top acts performing under one roof for an incredible night of Irish music that launched the awards on their first Live TVouting. 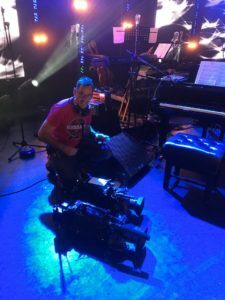 TV Director/VM, Bob Corkey told us that the schedule began with an extensive Lighting rig over the main stage at INEC on Wednesday 6th June, the day before transmission. 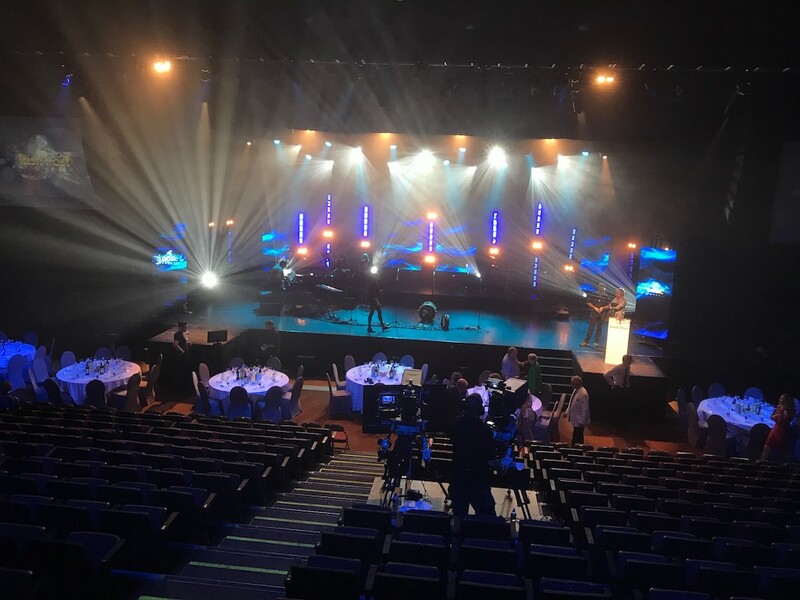 In another part of the venue, music rehearsals for the live performances took place with himself and the PA team of Janet Gallagher and Ann Mooney paying close scripting attention to the distinctive musical arrangements specially crafted for the show by MD, David Hayes. Tech rig began early on Thursday June 7th, TX day, with a sharp 11am camera rehearsal and progressing through the day as the ten live acts took their rehearsal turn on the stage. A run through the presentation team’s script & links brought the entire production up to transmission time with everything seen, heard, marked and double checked before going live on TG4 at 9:30pm for ninety exiting minutes. Tight turnaround of musical acts on stage during VT playouts kept Floor Manager Janine Curran on her toes during the show. With awards in nine categories, including Best Country, Best Folk and Best Pop/Rock, a Lifetime Achievement Award was also presented to legendary musician and composer Phil Coulter on the evening. Winners were picked by a panel of distinguished judges and a public vote. 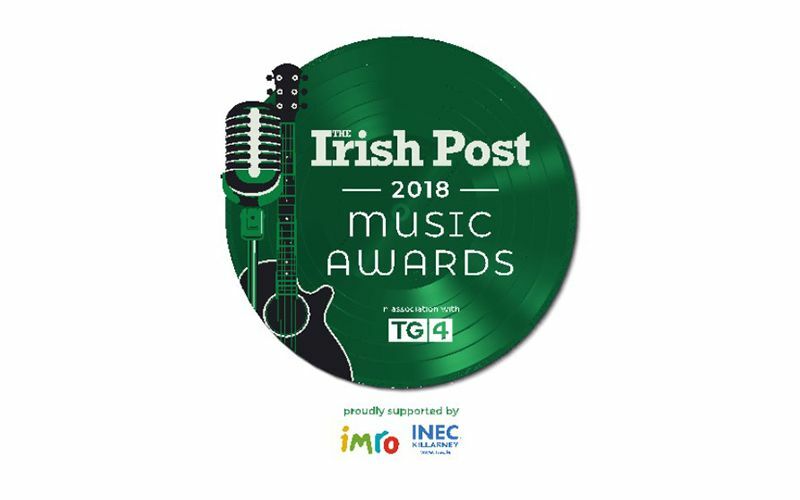 Amongst those honoured in the night’s celebrations were leading Irish acts The Blizzards, Úna Healy, High Kings, Ryan McMullan, Zali, Chris De Burgh and Beoga. The crewing task was clear from the beginning and Louise Nolan, Operations Director at The Production People commented that “Each of the key production roles required experienced hands, and a detailed multi-skilled mind-set. All crew needed to be comfortable at operating bilingually in both Irish and English, working in a tightly scheduled live environment, and ready for the inevitable technical or human eventualities that present with live productions. Add to that a creative and imaginative approach to problem solving as an essential box to tick for all”. You can catch more pictures and news at www.irishpost.com a leading digital publisher for the global Irish with over 2 million visitors to their site each month.